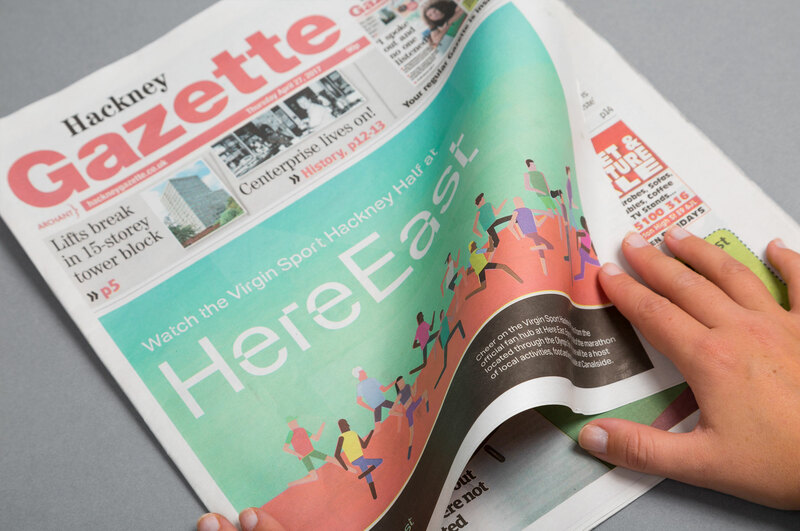 WeDesign helped create a four page advert for London’s olympic technology hub, Here East, in the Hackney Gazette. 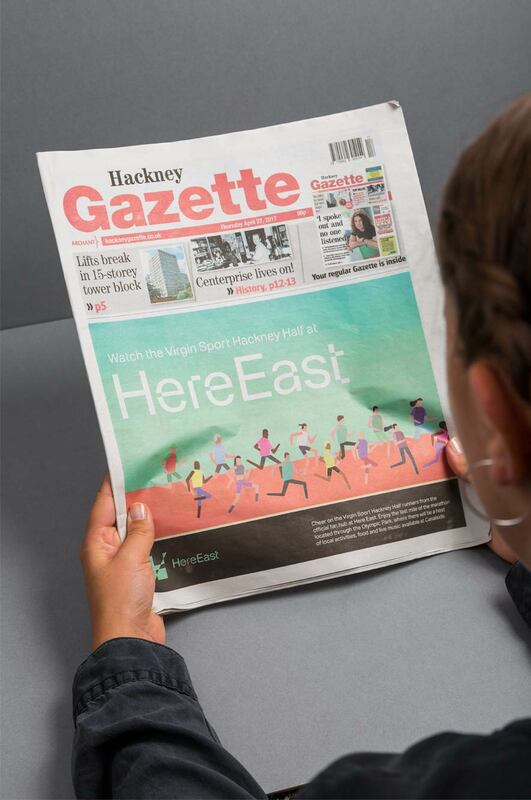 Here East was an official sponsor of the Hackney Half Marathon, with an official spectator zone located on the campus, alongside part of the half marathon route. 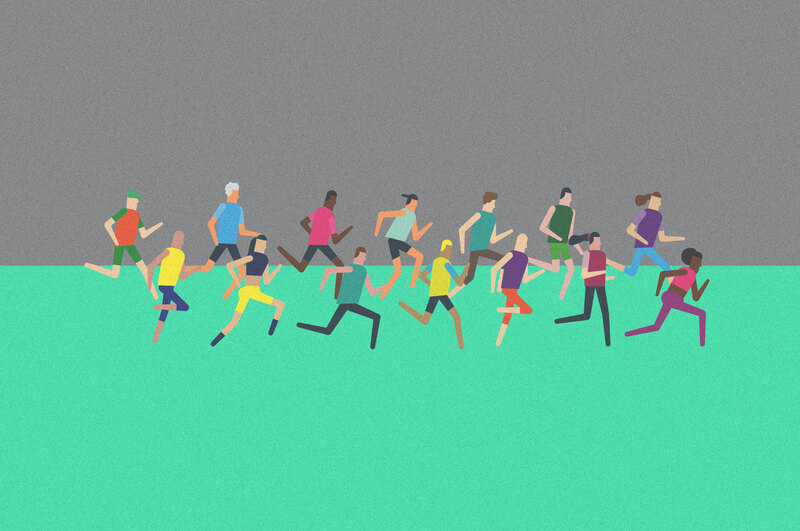 WeDesign created a unique illustration for the front cover and developed the communication to entice viewers to attend the event and watch from the Canalside. 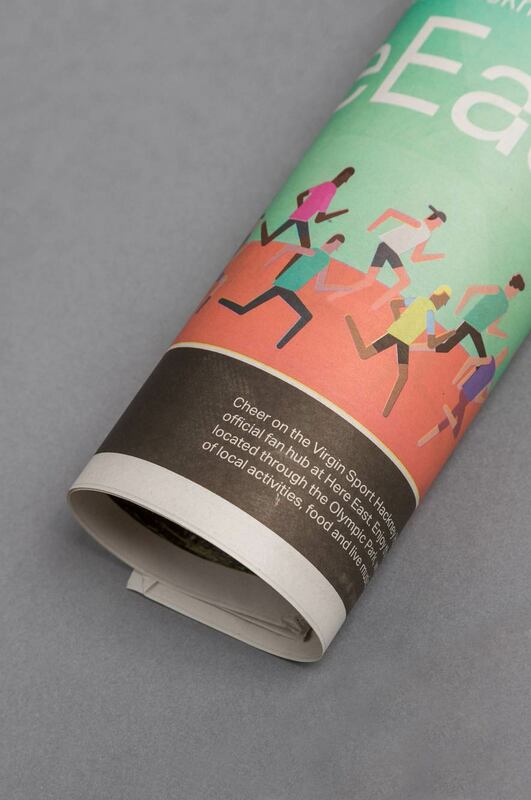 The newspaper was distributed throughout Hackney with a large monthly readership.